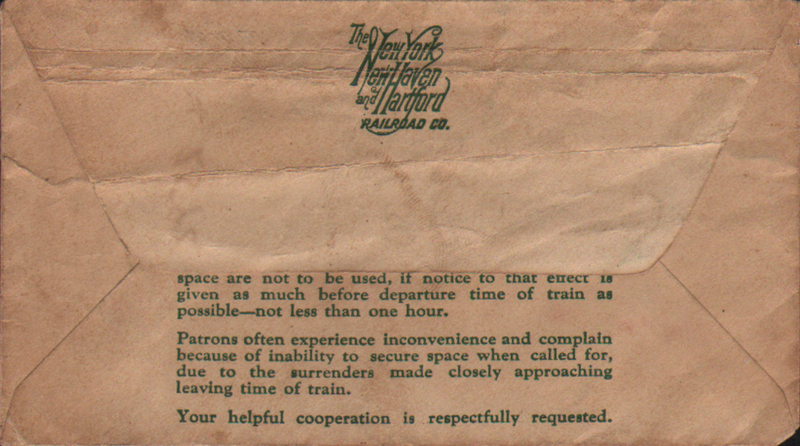 Code/Form The New Haven R.R. Description The New York, New Haven & Hartford Railroad (NYNH&H) 1931 Ticket Envelope advertising the Yankee Clipper, Boston - New York. 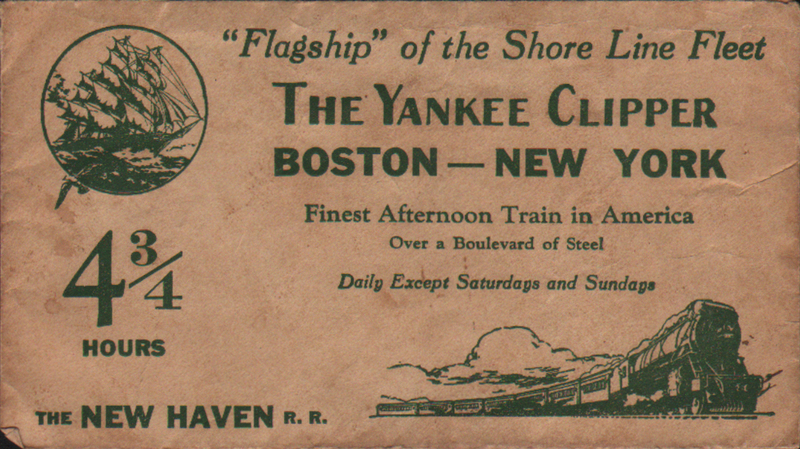 Flagship of the Shore Line Fleet. Finest Afternoon Train in America over a boulevard of steel. Daily except Saturdays and Sundays. 4 3/4 hours. Ticket price of $25.92 and berth costing $6.38 written on inside flap. Total for the trip was $32.30. 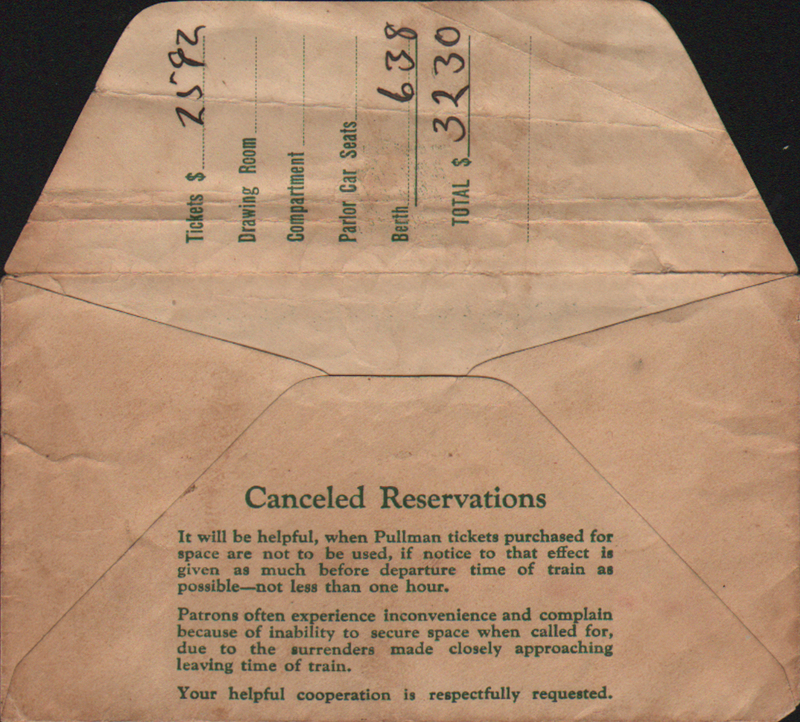 Purchased with a Pullman Lower Berth Passenger's Check (No. 5047) from Toledo to New York, N.Y.